Firestone Walker Brewing Company is expanding in more ways than one. Firestone Walker started as a single brewery in Santa Barbara County as a part of the Firestone Vineyard. Since its inception in 1996, business has boomed. They have since expanded to Paso Robles where they took over a SLO Brew facility. When they started, they were brewing less than 10,000 barrels a year. In June, they expanded even more and added a 300-hectoliter brewhouse, which is capable of brewing up to 3,600 barrels a day—the equivalent of 7,200 kegs or 50,400 cases of beer. The facility also bottles 310 bottles per minute during production hours. The uptake in business has meant that Firestone Walker has needed to increase their staff substantially. Over half of the lab staff is comprised of Cal Poly graduates. Firestone Walker has expanded beyond just the Central Coast and even California. Firestone is available in 31 different states and is trying to expand to a new state every year. While they like to branch out, “the kind of beers and business we are trying to promote is all about the freshness of beer. So more of the focus is on trying to grow the local market than trying to expand into all 50 states,” Brewmaster Matt Brynildson said. 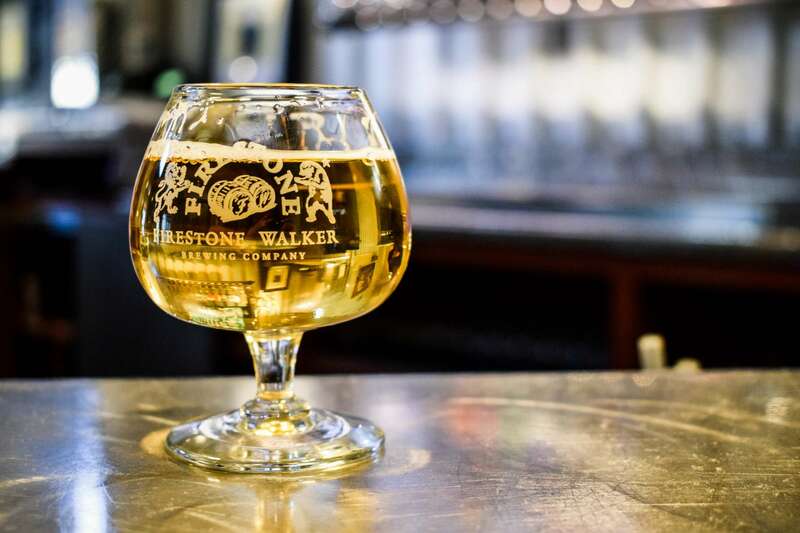 Firestone Walker has been successful with this in California — 80 percent of the beer produced is consumed in California and 805 has become the best selling craft beer in Los Angeles. With the growth of their facility, they have been able to expand their selections of beers. They introduced three new beers to their lineup: the Firestone Lager, Nitro Merlin Milk Stout and soon-to-be-released Coconut Parabola. With the addition of the three new beers, they had to say goodbye to the Pale 31 Ale, which will still be available upon request in the brewery.